Smoking is permitted in designated areas outside the front of the terminal building and in a specially provided location adjacent to the airport transit lounge/departure area. 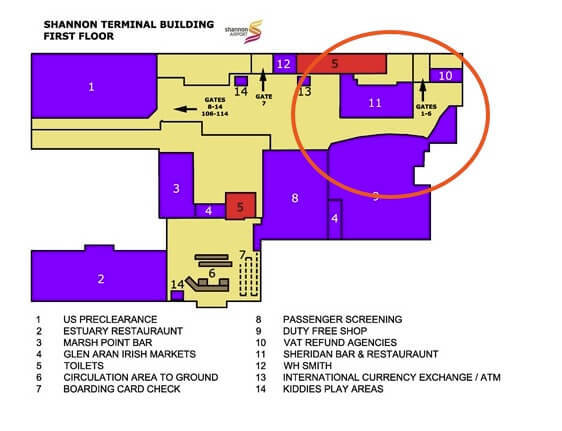 There is a smoking area past security which is down a few flights of stairs located near or inside the Duty Free. Unable to find a map of the stairs but is apparently easy to locate. Area is outside but fenced off and under cover. Access somewhere in circled area of map below. If you have more specific details please share in the comments.